Last fall was somewhat of a rebuilding season for the Bulldogs, who had a roster loaded with underclassmen, and this season the expectations will be much higher as Canton looks to make a push for the postseason. On defense, Albert will be expected to make the difference from his linebacker position, stuffing the run or showing off his athleticism to make plays outside the tackles and against the passing game. Albert’s leadership and reading of the game will be important, as Canton continues to be a relatively young team, and he will be expected to make plays all over the field, chasing down runners or getting into the backfield to harass opposing quarterbacks. Defense has been a priority under head coach Dave Bohane and Albert gives Canton another centerpiece to build around this season. Mansfield senior Khristian Conner was one of the league’s top defensive backs last season and is one of the reasons the Hornets are expecting to have one of the best defenses in the league. Conner is one of the quickest players in the league so its not easy for receivers to get away from him. If they are able to get some space and make a catch, Conner is a solid tackler so its rare to see a big play happen his way. His experience will give him and advantage as he looks to build upon a strong junior campaign (31 tackles, four pass breakups, and one interception). Conner’s ability to stick with his man is going to allow the Hornets’ front seven to cause a lot of havoc in the backfield. Despite having his 2017 season cut a couple of games short, Driscoll was one of the top defensive players for the Panthers and also one of the best cover guys in the league. He made 35 tackles, two for loss, last season, broke up four passes, and had one interception from his cornerback position. He also chipped in on offense, catching 23 passes, and his speed and athleticism will be important for Franklin’s defense this fall, as he regularly lines up against the opponents’ top threat in the passing game but also steps up against the running game. 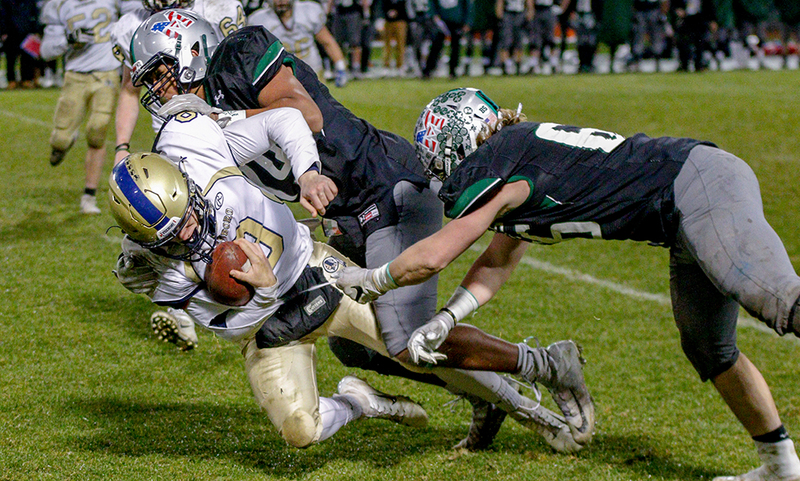 Franklin coach Eian Bain called him the team’s “most explosive athlete” at the end of last season and Driscoll will be counted on again to make plays, force turnovers, and help the Panthers stifle opponents to make another playoff push. 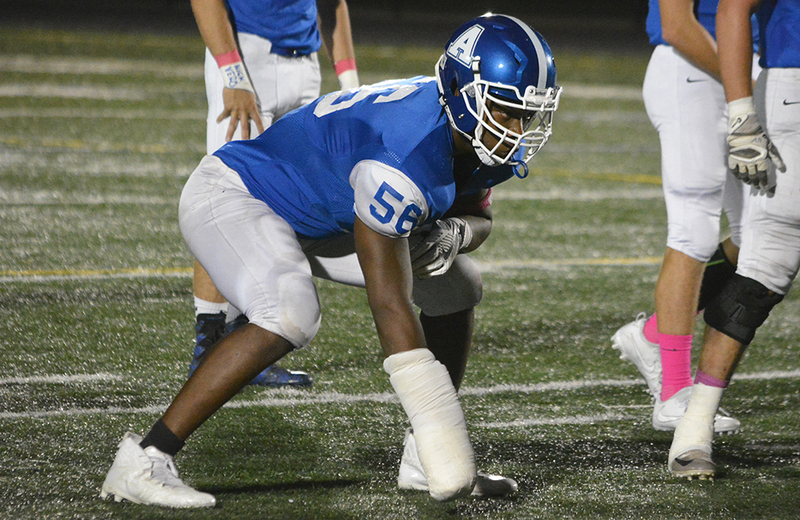 Attleboro senior Nick Evans uses the combination of size, strength, and speed to cause headaches for opposing offenses. Whether he’s lined up on the left or ride side, or has a hand on the ground not, Evans is a versatile hybrid of a defensive end/outside linebacker. Evans is very aggressive and if he gets a head of steam, can be a nuisance in the backfield, against both the pass and the run. His speed and strength allow him to get into the backfield to cause issues while his size and length factor in when disrupting the passing game at the line of scrimmage. Even if the play runs away from him, he can use his athleticism to to track the ball down and make a play. Milford knows that it can always count on the infectious energy that Feaster brings to the field, whether he is making plays in the secondary or snagging passes on offense, but he is also one of the top ball-hawks (no pun intended) in the league. Feaster was Milford’s team leader in pass deflections last season and picked off three passes, while also being willing to step up into the running game to make tackles. Fast, with good hands and solid positioning, Feaster can close quickly on passes and makes plays even when it looks like he may be beat. 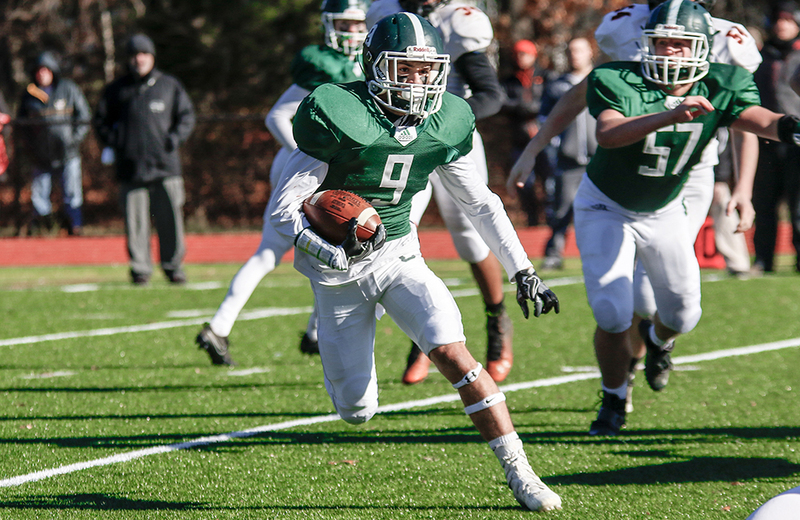 He will typically be stationed over the opponent’s best receiver and his ability to lockdown on the outside allows Milford to be aggressive in other parts of the field even against some of the top passing attacks, such as North Attleboro or Duxbury. Mansfield has long been one of the premier football programs in the area, so it is big news when a sophomore just gets a starting role in the linebacker corps…let alone set a new program record for tackles in a season and emerge as one of the top defensive players in the Hockomock League. That is exactly what Holmes did last fall, with 108 tackles for the season, including 18 tackles for a loss. His speed and strength made him tough to block at the line of scrimmage and he showed an impressive ability to read the play, find a seam, and make plays. He also added four sacks, a forced fumble, and broke up two passes and was named the HockomockSports.com Underclassman of the Year. As he showed during an impressive winter on the wrestling mat, Holmes is tenacious and he is a tough player to move off the spot he is trying to get to, which should only get tougher for opponents as he gets more experienced. With Holmes back in the middle, Mansfield should once again have one of the league’s top defensive units as the Hornets try to unseat King Philip at the top of the league standings. Stoughton has developed a reputation for having a hard nosed defense and will be trying to fit that description during the 2018 season. Senior Alex Iverson is a throw back type of player that fits in nicely with head coach Greg Burke’s style. 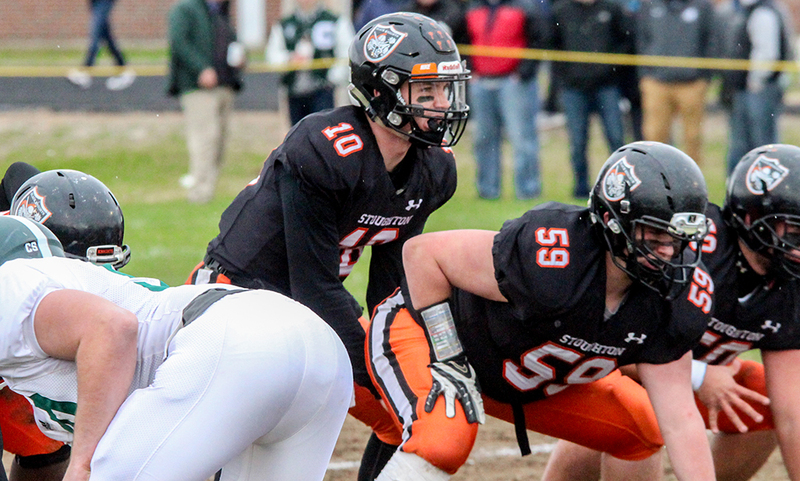 The Black Knights are in need of some names to step up after graduating a strong class. Iverson plays both inside and outside the box. The senior isn’t the most flashy but gets the job done using toughness and intensity. He isn’t the biggest player on the field but he’s the type of player that will be all over the field making plays. Whether it’s defending the pass, stuffing the run, or getting downhill to get at the quarterback, Iverson is in a position to make big plays for the Black Knights. Despite playing more games than any team in the league last year (13), North Attleboro was tied for third in fewest points allowed, giving up only 173 total or a little more than 13 points per game. Senior linebacker Nick Raneri will be one of the players that the Rocketeers will be counting on to continue that defensive strength as they go after a fourth straight league title and a return to the Super Bowl. Raneri, who is also stepping in at quarterback this season, is an athletic linebacker, who can cover ground outside the tackles but also step in and make plays up the middle. Never one to shy away from contact, Raneri is a vocal leader for the North defense. He is also capable of following receivers out of the backfield and making plays in the passing game. Raneri could be the quarterback on both sides of the ball and will be looking to fill big shoes after the graduations of last year’s quarterback Chad Peterson and linebacker Zach DeMattio. King Philip has been defined by its defensive performances under head coach Brian Lee and that has led to back-to-back Kelley-Rex division titles, a pair of Super Bowl crowns, and 25 straight wins. Webster was the lynchpin of the Warriors defense last season, stepping into the linebacking corps and making an instant (and title-winning) impact. His strip sack in the Super Bowl led to the game-winning field goal. Webster was a presence all over the field, making 46 tackles (16 for loss), six sacks, five pass breakups, and even two interceptions. He reads the game like a much more experienced player and a motor that does not stop, which allows him to make big plays at the end of the game when KP needs it most. Webster is in the mold of previous KP linebackers and his attitude on both sides of the ball gets the rest of his teammates going. With him back in the middle, KP remains the team to beat in the Kelley-Rex. When you talk about kids who did it all on the field last year, Hunter Williams is certainly on that list. Williams was apart of the Warriors’ offensive line, linebacker group, and the kick off coverage unit. This year, it looks like Williams will be a vital part of the Foxboro front seven on defense. The combination of speed and strength is what makes him an effective guard on the offensive line and those same traits are what help him stand out at linebacker. He can get down hill and help stop the run, or as he showed last year, can drop off in coverage and make a play. Williams’ work in the offseason has him in position to possibly be one of the top linebackers in a league that is very deep at that position.